An anemometer is a device used for measuring wind speed, and is a common weather station instrument. 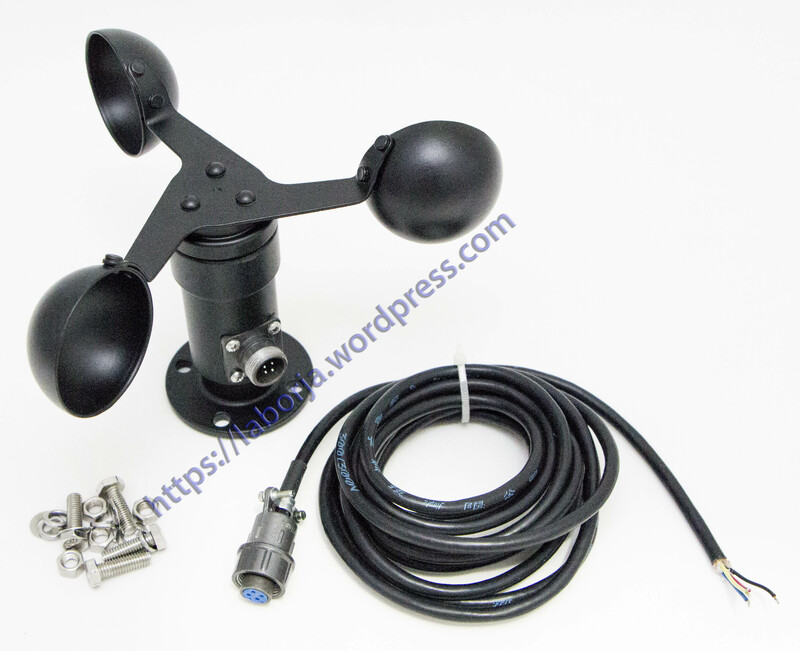 This well made anemometer is designed to sit outside and measure wind speed with ease. To use, connect the black wire to power and signal ground, the brown wire to 7-24VDC (we used 9V with success) and measure the analog voltage on the blue wire. The voltage will range from 0.4V (0 m/s wind) up to 2.0V (for 32.4m/s wind speed). That’s it! The sensor is rugged, and easy to mount. The cable can easily disconnect with a few twists and has a weatherproof connector.